Government entities have a lot of responsibilities that fall under their umbrella. Fire departments, police, state and local public works, even utilities. They all serve a broad public group of constituents who expect local, city and county governments and agencies to do the jobs with which they are charged. Their constituents are their customers. And many of these government entities rely on stored fuel and fuel storage tanks as essential tools to meet their needs. But changes to today’s fuel can present a challenge at times to these government groups. A challenge that they have to overcome or face failing their public constituents. Which is not an option. Today’s fuels are not what they used to be. They’re prone to developing microbe and water problems, much more quickly than ever before. Gums, varnish and sludge develop in fuel storage tanks that, along with microbial infestations and biomass presence, can predict the subpar performance (at best) or even outright failure (at worst) of their stored fuels to do what they need them to do. Not only that, but it can be difficult to properly assess the condition that government stored fuel is in, especially when it comes to microbe problems in storage tanks. Yet it is critical for government entities with stored fuel to stay ahead of these problems. Bell Fuel & Tank Services (Bell FTS) serves state, local and municipal government facilities with the right tools and the right approach to keep them doing the jobs they’re responsible for doing. The Bell FTS program and its hybrid approach to fuel and storage tank issues gives the government sector the most complete and effective solution available. They stay problem-free with the best fuel treatment chemistries that prevent serious problems with microbes and MIC tank corrosion, ensuring their important customers (the general public) stay problem-free as well. Biocides and dispersants to eliminate destructive microbe problems. Cetane improvers for better performance. Water eliminators to help combat water problems in storage tanks. Sludge dispersants and anti-corrosion protectants for better storage tank health. Bell Fuel & Tank Services also provides the best mechanical tank services and fuel problem mediation, covering the elements of fuel health that fuel treatment chemicals alone can’t achieve. That’s part of the Bell FTS difference. Helping busy government facilities and customers get what they need, without wasting time and critical budget resources on things they don’t. Just as importantly, these essential elements are supported by state-of-the-art fuel and tank testing and monitoring that ensure that fuel distributors know what’s going on with the condition of their tanks and the product that’s going out. This includes next-generation microbe detection and monitoring that not only confirms whether they have (or don’t have) microbe problems, but which also can tell government fuel managers if a problem is on its way - a critically important piece of information. 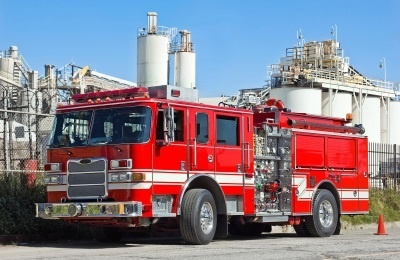 This Fuel PM approach from Bell Fuel & Tank Services helps any government entity with stored fuel predict and head off critical problems instead of having to react to them after they’ve done their worse.